Known as El C�pano by the Spanish and Mexicans, it was named after the Copane Indians. It was used as a port in the early 1700s and was used by smugglers and pirates. It was officialy declared a port of entry by Mexican Governor Bernardo de G�lvez in the 1870s. In the late 1820s and early 1830s Anglo settlers arrived here - including Irish immigrants on their way to the Irish colony of San Patricio. During the Texas Revolution it became a strategic point. Mexican general Mart�n Perfecto de Cos landed his troops here prior to advancing to Goliad and Bexar. Shortly thereafter Sam Houston ordered that the point be defended and it was held until March of 1836, when it fell to troops commanded by Gen. Jos� de Urrea. In May of 1836, the Texans regained control of the port. Settlement began around 1840 and by 1852 there was a small community made up of a dozen homes. A post office was in operation from 1851 to 1867. 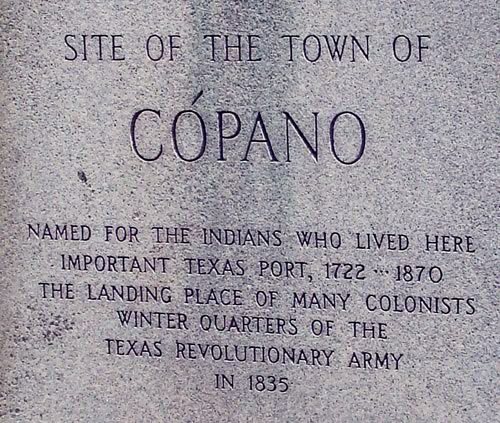 At its peak, Copano had three warves and during the Civil War the town prospered due to it's topography which made it had for Union forces to monitor. 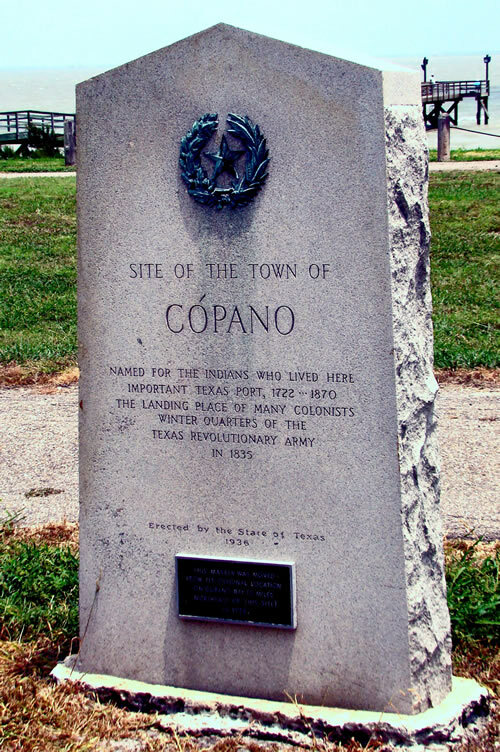 Finally in 1864 Union gunboats dropped anchor at Copano and the residents fled inland, returning as soon as the fleet left. The town failed to win a railroad connection and commerce was forced to take a long and inconvenient route to Refugio. Fresh water had always been a problem and eventually the townspeople went to Refugio and never came back. 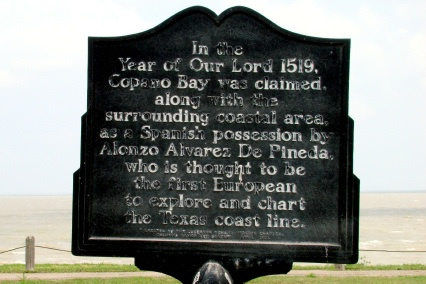 By the 1880s, the once promising port of Copano had become a ghost town.